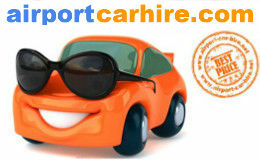 Treviso Airport car hire provides cheap car rental from the following rent a car companies.Hertz, Avis, Sixt, Locauto Rent Enterprise, Maggiore, Europcar Treviso Airport is know as San Giuseppe Airport it is approximately 30 kilometres from Venice and is connected to the city by taxi, bus and train. Ryanair is one of the major low cost airlines that operates to and from Treviso Airport. It is sometimes refered to as Venice Treviso. The Car Rental desks are located 50 meters to the right of the terminal building. You can access them along a covered pedestrian walkway just follow the Rent a Car Signs. 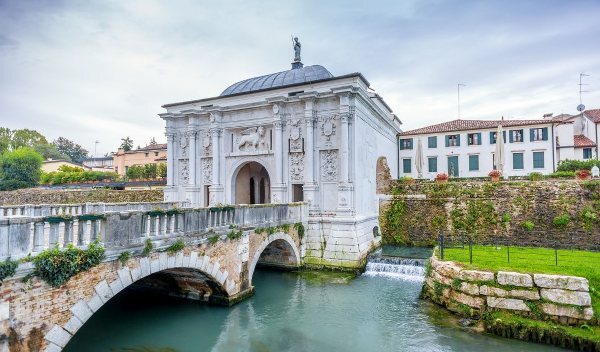 An attractive city in the north of Italy, Treviso is the capital of Treviso province, and known for its architecture, pedestrianised historic centre, tranquillity and hospitality. Of ancient origin, Treviso boasts plentiful historic sights as well as chic shopping areas and eateries – the perfect fusion of ancient and modern, without the noise and congestion of a major city. 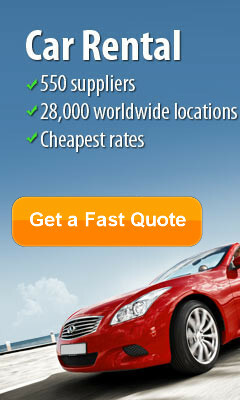 Take this opportunity to get the best car rental deals in TREVISO... CHEAPER. Train service: You will need to connect by bus to Treviso and Venezia Mestre railway stations. Bus service: is on Via Noalese, turn right when you exit the airport. Tiramisu, Prosecco wine, Benetton, Sisley, Stefanel, Diadora and Lotto Sport Italia, does any of these ring any bells? It is the city of Treviso, of course! This city is home to the headquarters of those clothing retailers, the original production area of the Prosecco wine and the town where the delicious Tiramisu was invented. Seems like someone has got a lot of shopping to do, not even mentioning some delicious wine and desserts to sample! Let's take that rental car of yours to a spin and see what the region of Treviso has to offer. First of all, since the Prossecco wine has become a rival even for the French champagne, not visiting Valdobadienne, the best-known Prosecco-producing location in the area, is out of the question. You will have the chance of not only tasting some of the finest varieties of wine Italy has to offer, but you will experience the stunning countryside also. While in Treviso, do not forget that you are still in Italy, the country where you can actually feel the touch of history and art every step you take. How about driving towards some of the landmarks here, such as The Dome of Treviso, built in the 15th and 16th century, or The City Walls, which date back as an outpost for the Romans in early AD. Not getting enough of these Italian views? How about a trip to the largest lake in Italy, Lake Garda? This very popular touristic destination is definitely worth your while! You will be amazed by the views, since this region is surrounded by marinic hills left following the glacier recession from one side, and mountains from the other side. 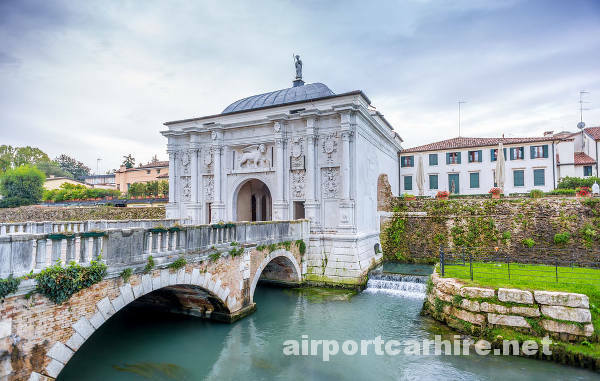 It is well-known that Treviso is considered a gateway to Venice, and since you are so close to the city, why not taking your rental car and pay it a visit? You for sure have always dreamt about visiting the city of the Grand Canal, and everyone deserves a romantic getaway from time to time. If you really want to experience Venice and you are already missing Treviso, then you must do it in the old fashioned way, by going to the opera or to a classical music performance, or admiring the exhibit walls of one of the art galleries there. Another city that must be added on your bucket list since you are so close to it is the setting for most of the action in Shakespeare's "The Taming of the Shrew", Padua. This picturesque city will win your heart with its piazzas, palazzos and ancient walls. While you are here, do not forget to visit the 13th century Basilica di Sant Antonio, and the Scrovegni Chapel, with Giotto's famous 14th century frescos. The only thing standing between you and discovering the amazing Treviso is booking your car! There are many notable attractions in Treviso, but a good place to start your sightseeing is at the Romanesque/ Gothic church of San Francesco, built in the 13th century. Used as a stable by Napoleonic troops, the church contains a single nave with five chapels, decorated with stunning paintings and frescos. It also houses the tomb of Pietro Alighieri, son of the infamous poet Dante. Another noteworthy church is the 13th century San Nicolò, also adorned with frescoes and paintings, including Europe’s oldest depiction of St. Christopher using glass as an artistic medium. The lovely Piazza dei Signori (Lords' Square) is a great place to relax in the midday sun, and houses the impressive 15th century Palazzo di Podestà. The 13th century Palazzo dei Trecento is also worth a visit, as is the Piazza Rinaldi; the three palaces of the Rinaldi family, built between the 12th and 18th centuries. But the visitor’s favourite has to be the cathedral dedicated to St Peter. Originally a small church in the late Roman era, the building was extended over several architectural periods to create today’s fine structure of seven domes and a crypt, with the original Roman gates fully restored. Borgo Cavour leads to the Luigi Bailo Civic museum which houses archaeological remains, an old Venetian art gallery and a modern art collection. If you want to shop for bargains, Italian produce or souvenirs, Treviso is a great base providing everything you need. The historical center – mainly around Corso del Popolo, Piazza dei Signori and Via Calmaggiore - offers a multitude of designer shops, bookshops, jewellers, artisan craftsmen and furniture makers. There is also a monthly antiques market in the Borgo Cavour area, where you can bag yourself a genuine piece of history at a decent price. For outdoor types, there are plenty of botanic gardens to stroll around, such as the Giardino Fenologico, Orto Botanico Conservativo Carlo Spegazzini and Orto Botanico Conservativo Francesco Busnello, each housing a number of internationally important indigenous and foreign species of flora. Also take a stroll along the Terraglio River to see wonderful examples of Venetian architecture. Collect your hire car at Treviso airport, either when you arrive or later in your holiday, and take control of your own Italian adventures. Within a few hours you can reach the romantic city of Venice, with its complex waterscapes, gondola rides and intriguing alleyways. Alternatively, explore the Dolomites region, with its rolling vineyards and arid olive groves. There are also an array of charming traditional hilltop villages to visit where you can stock up on. Located in a quiet neighbourhood, one kilometre from Treviso's medieval walls, Hotel Ca' Del Galletto offers free parking, free bike rental, and a large garden with swimming pool. Rooms at Ca' Del Galletto are spacious and air conditioned. Each room has free Wi-Fi and satellite TV. A sweet and savoury buffet breakfast is available each morning. The hotel recommends a local restaurant for dinner, a member to Treviso's restaurant association. Ca' Del Galletto Hotel you will also find a fitness centre and sauna. The swimming pool is open from June until mid September. The rugby stadium in Monigo is 1.5 km away, while Treviso Station is easily reached in 10 minutes by bus 51, which stops near the hotel. Canova Airport is 5 km away. Set just a 2-minute walk from the bus and train station, Hotel Carlton is convenient for visiting Venice as well as Treviso's old town. Bikes are available free. A short stroll will take you to all of Treviso's sights and regular trains and buses run to Venice from just down the road. Free car parking is available at Hotel Carlton, subject to availability. Hotel Carlton provides modern, well-decorated rooms, all of which come fully equipped with Wi-Fi internet access and plasma-screen satellite television. A free internet point is also available in the lobby. Enjoy discounts at Treviso gyms, swimming pools and spa centres as a guest at Hotel Carlton. You will also have free admission to a nearby golf club. Set 1.5 km from the centre of Treviso, Hotel Carletto boasts glass chandeliers and a traditional Venetian design. Parking is free, and there is a bus stop nearby. All rooms at the Carletto are spacious and air-conditioned. Reception is open 24 hours a day and there is also a TV lounge. The restaurant of Carletto Hotel is open for both lunch and dinner. The stylish bar serves drinks and cocktails in the evening. Hotel Continental is situated in the centre of Treviso, opposite the railway and bus stations. 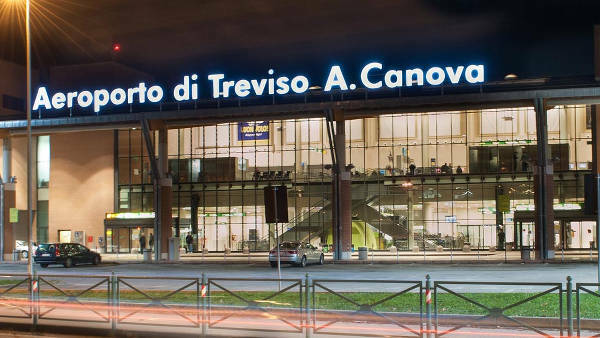 From here you can enjoy frequent, cheap connection to Treviso Canova Airport. Hotel Continental offers an old-world feeling. The bar opens at 17:00 and serves a variety of cocktails. All rooms come with minibar and satellite TV. Breakfast is available from 07:00 till 11:00.